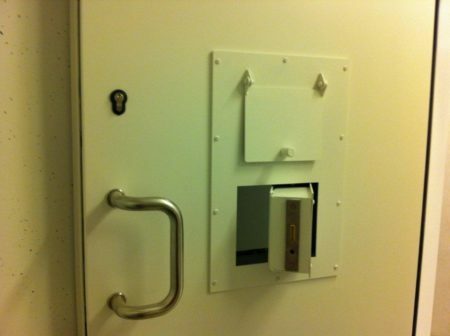 Heinen cell doors are frequently used in police stations, detention centres and prisons. 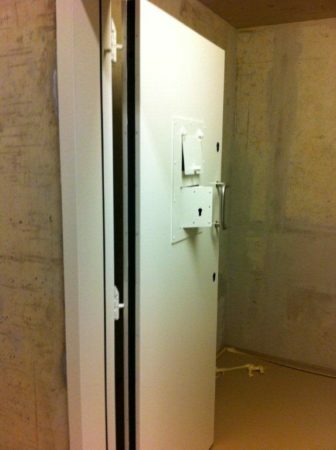 They are also used in the health-care sector, for example in psychiatric centres to provide compartmentalisation or create isolation cells. It should be noted that a basic Metal+ door in itself will provide level CR2 burglary resistance. 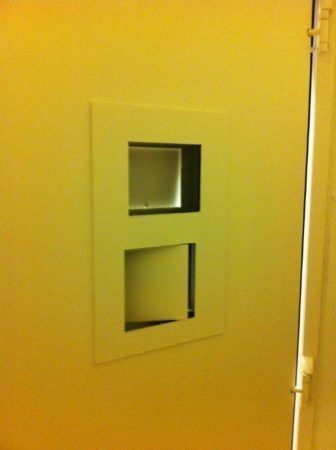 Simply by adding transverse reinforcements, we can provide a door that fulfils the initial requirements. Cell doors can open inwards or outwards. Naturally, they need to be resistant to attacks, vandalism, heavy blows and intentional damage. The concrete frame and robustness of the Metal+ door structure are far more important here than the choice of lock. As the door always takes priority at Heinen, we can attain all the required performance levels with a 1-point lock. With this 1-point lock, we can go as far as level CR5 burglary resistance! This solution is extremely secure, easy to use and very reliable (because as soon as it is barely closed, the door is automatically always locked). 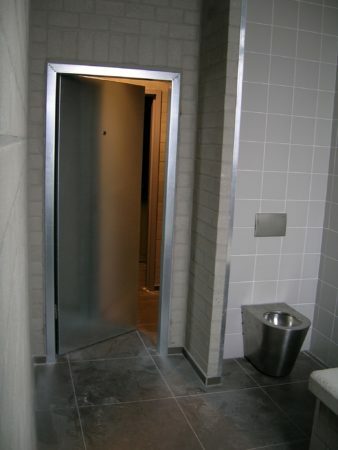 Cell doors are usually left with their standard finish, that is hot-dip galvanised, so that any knocks, damage and scratches are less visible and more discreet. On the other hand, the favourite finish in the health-care sector is skinplate in white or RAL 9001 paint. 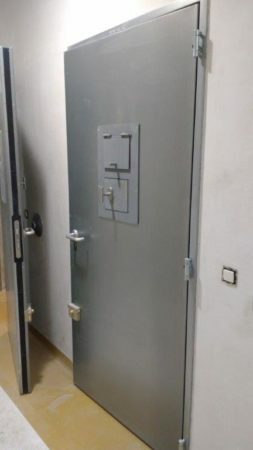 Upon request, the cell door can also be made fire-resistant and be equipped with a peep-hole and a hatch (through which to pass plates). Determine the size of the opening on the basis of the clear passage required. Do not forget to check the maximum opening angle of the door. If it is fitted in a corner, you will also need to take into account the thickness of the door leaf. locks: 1-point lock on the latch, extended and reinforced Additional deadbolt (possible but not obligatory).